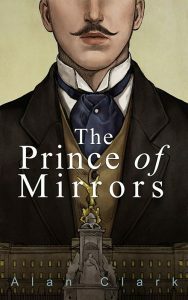 Based in South Korea, Dani Soon is an artist and the cover illustrator of Alan Robert Clark’s historical fiction novel The Prince of Mirrors. Inspired by nature as well as many contemporary artists and filmmakers, Dani creates images that make the books stand out in bookshops. She has previously worked with Shop Magazine, EMI, and Citizen K Magazine. We have chatted with Dani about her art and her work on The Prince of Mirrors. How did you get into art & design? The college I attended focused on production for design and film among many other branches of visual art. I have chosen to learn illustrating because I like painting more than anything else I learned in school. Also, I was terrible at production design! How book-illustrating is different from your other work as an artist? In my opinion, the most important thing about book cover illustrations is that they should represent the whole story of the book and, at the same time, look attractive. 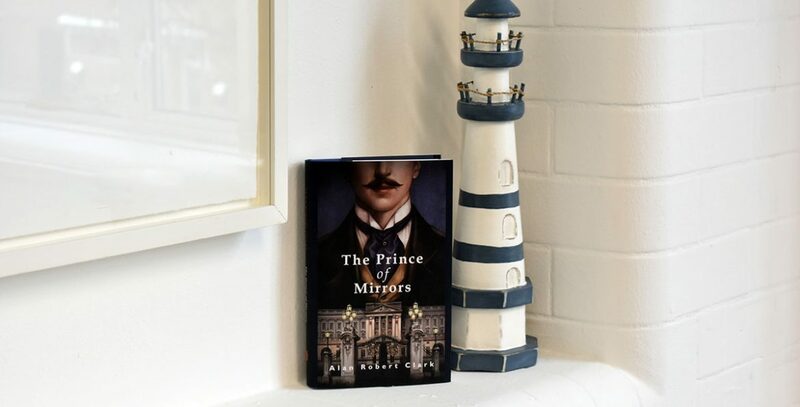 Working on The Prince of Mirrors was such a difficult but enjoyable work. How hard is it to be supervised and follow someone else’s guidelines to design/illustrate covers? Actually, I prefer following clear guidelines. If a client doesn’t have a clear idea about what they want, I get lost sometimes. I don’t mind being supervised either, because I can express artistic or experimental things on my own personal works. I think commercial illustration should be fit for purpose. Could you walk us through your working process to design The Prince of Mirrors? I always start by sketching out some ideas in rough drafts and refining rough drawings into more polished images. 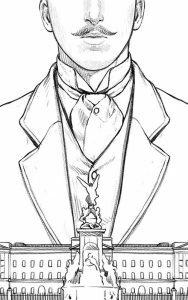 With The Prince of Mirrors I tried to produce an image of Prince Albert Victor as a XIX century high-class gentleman. For this, I researched many images of XIX century London and men’s clothing. 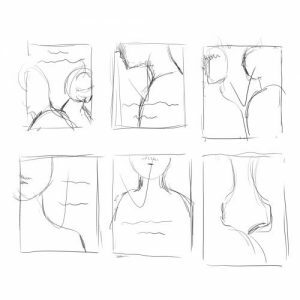 Do you sketch your illustrations by hand or digitally? Digitally. It’s hard to find pencils and erasers in my studio these days. What has been your favourite illustrations to make? I like most of my work except when it’s ruined by unreasonable request or an incredibly tight deadline. Do you find that the style of illustrations around the world differ from South Korea? Actually, the trend of styles is similar worldwide because of the internet. It is no different in South Korea. At the moment I’m creating an image for a film magazine. In the future, I’d like to work on books more often and I hope I can make a picture book for children some day. To find out more about Dani, visit Folio Art or her website.